Runny nose, itchy, watery eyes, sore throat, sneezing, coughing….sounds like fall allergies are coming for you! If you live in the Dayton area, you are well aware of our allergy reputation and allergies have probably affected you or someone you love. The bad news is that we can’t get rid of them for good….but here are 4 tips to combat fall allergies and minimize their effects. 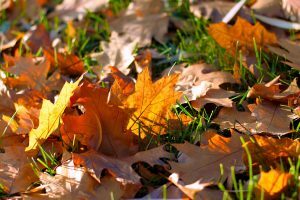 Leaf raking can stir mold and pollen into the air, stirring up allergy symptoms! Wear a NIOSH rated N95 mask to do yard work, mowing and raking. Also, change your clothes and take a shower when you come in from working in the yard. That will help get rid of any allergens you picked up on your clothes. Even tho we love a warm fall, lingering warm weather can make allergy symptoms last longer. Dry, windy weather and also high humidity can cause mold spores to be released….and then there’s the pollen! I guess you could just stay inside when the pollen count is high but …. hello? Indoor allergens are in there! Well, we can control our inside environment a little better than our outside environment so let’s start there. The Journal of Allergy and Clinical Immunology found at least 6 allergens were detectable in more that half of all homes. I bet it’s more than 50% in Dayton 😉 . Allergens are found all over our homes, on our furniture, floors and more because they’re carried through the air. So, while no home can be totally free of allergens, regularly cleaning your home can reduce your exposure to many allergens. Try our 4 tips to combat allergies this fall. Dust mites are the most common trigger of asthma and allergy symtoms in the home. And dust mites LOVE dust! Use a cloth that attracts dust so that you’re actually picking up the dust instead of scattering the allergy particles all over the place. Do you know another thing that attracts dust? Clutter…so get rid of the extra clutter THEN dust. Once a week, wash the sheets and blankets in hot water (at least 130 degrees) and dry in a hot dryer. This will kill the dust mites. You might want to also wash any washable stuffed animals and pillow regularly. For things that can’t be washed ie mattresses, some pillows etc, you can often find allergy proof covers. Speaking of laundry, you may want to try fragrance free detergents. The fragrance in cleaners can often trigger allergies. And don’t hang your laundry outside to dry because they will pick up pollen and mold. Did you know that pollen is emitted from plants usually between 5 and 10 AM so avoid going outside then and keep your windows closed as well. Also, sweep, vacuum or use a leaf blower to keep dirt and debris away from outside entry areas, porches, steps and sidewalks. The cleaner your entryway, the less likely someone is to bring pollen or dust into the house. Using exterior and interior mats can trap and keep dirt and moisture from getting into the house as well. This one trick can reduce the amount of dust and allergens that become airborne and as a bonus, will help protect your indoor carpeting. Another trick would be to remove your shoes when you come inside. This has become a common practice among my friends. According to the IICRC (Institute of Inspection, Cleaning and Restoration) a survey “found that more than 80% of homeowners feel their family’s health is directly related to the cleanliness of floors in the home. The survey results also discuss a misperception that carpet is the least effective type of flooring when it comes to minimizing conditions that aggravate allergies. Also make sure to use high-efficiency double-lined (HEPA) filter bags that capture even tiny particles. Vacuum well….this means vacuum often (a couple times a week), and vacuum slowly (specially in entry areas). 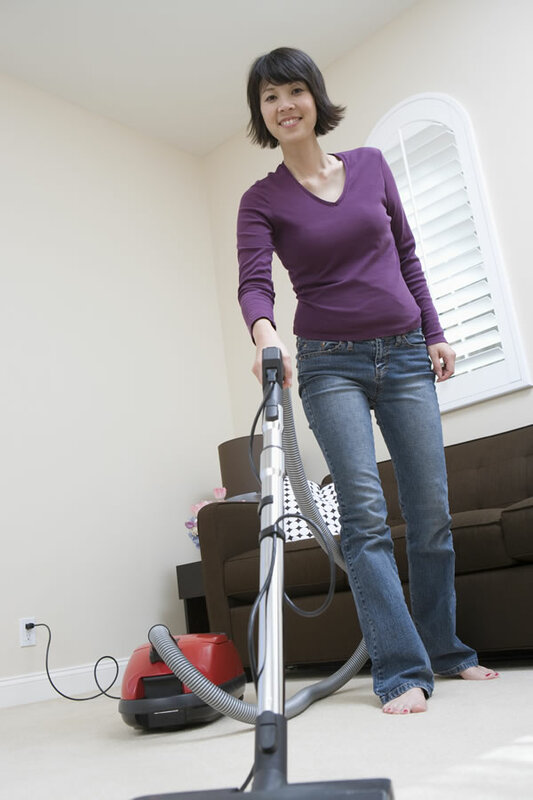 Go over high traffic areas two or three times to pick up all the dust, dirt and allergens.